Parrot Airborne Cargo Mars / Parrot Airborne Cargo Travis. Parrot Airborne Night Blaze / Parrot Airborne Night Maclane / Parrot Airborne Night Swat. Parrot Hydrofoil Orak / Parrot Hydrofoil Newz. Parrot Jumping Race Max / Parrot Jumping Race Jett / Parrot Jumping Race Tuk Tuk. Parrot Jumping Night Marshall / Parrot Jumping Night Buzz / Parrot Jumping Night Diesel. POWER UP PACK! 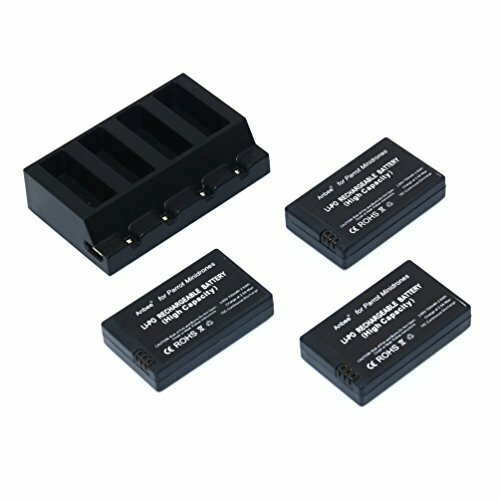 3.7v 700mAh LiPo battery 3pcs + multi charger plate for Parrot Minidrones. Compatible with all series Parrot Minidrones include: Parrot Rolling Spider/ Jumping Sumo/ Swing / Mambo / Airborne Cargo Mars / Airborne Cargo Travis / Airborne Night Blaze / Airborne Night Maclane / Airborne Night Swat / Hydrofoil Orak / Hydrofoil Newz / Jumping Race Max / Jumping Race Jett / Jumping Race Tuk Tuk / Jumping Night Marshall / Jumping Night Buzz / Jumping Night Diesel. Upgraded 700mAh rechargeable Li-Po battery, extend the flight time, brings more joy for your kids! Upgraded 4-ports multi-charger, compatible with stock charge cable and all kinds of the third party USB charging cable. If you have any questions about this product by Anbee, contact us by completing and submitting the form below. If you are looking for a specif part number, please include it with your message. Hampton Nautical Wooden Blue Striped Pacific Sailer Model Sailboat Decoration, 25"